The proceedings have been published on Springer's website. Pictures are up! See here for award and demo pictures, and here for group pictures. 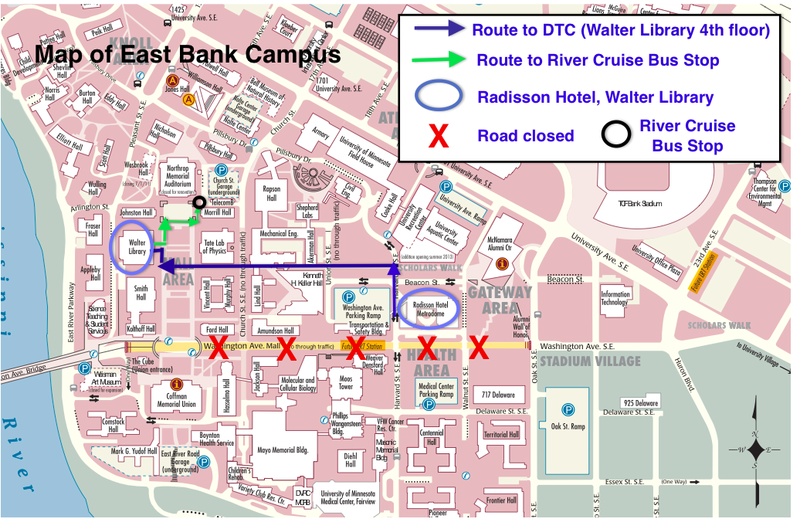 Due to campus construction, look at this map for detailed walking information. A message to all attendees with final schedule updates and logistics can be found here. A number of companies will be at SSTD, see here for more information and job postings. The NSF travel grant awardees are posted. The final program is up on the schedule page. The NSF is providing travel grants for graduate students from US institutions, see here. The sponsorship page with sponsorship applications is now online. The registration page is now online. The International Symposium on Spatial and Temporal Databases 2011 (SSTD 2011) is the twelfth event of a series of biannual symposia that discuss new and exciting research in spatial, temporal and spatio-temporal data management and related technologies and start setting future research directions. Visit the new SSTD 2011 Blog for testimonials, top ten reasons to visit and more! SSTD 2011 will be held at the University of Minnesota in Minneapolis, MN, USA.